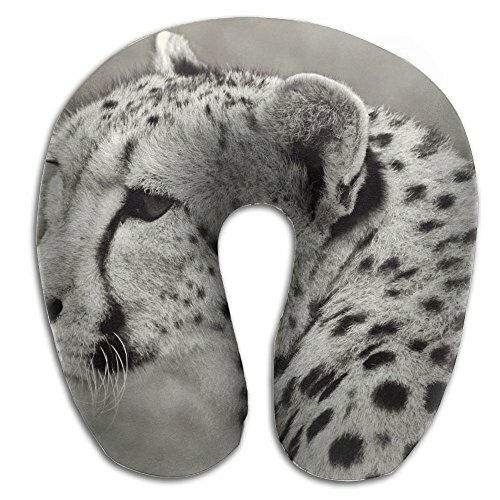 There Is U-Shaped Neck Pillow Cover, Fashion Polyester Pillow For Neck Pain Airplane Travel Office Computer Chair Home Bed Car Trips. If You Sleep Very Well, The Neck Pillow Is Stained With Some Saliva,It's Okay,This Is A Washable Pillowcase And The Pillowcase Has A Stealth Zipper,It Can Be Easily Dismantled And Cleaned. Hidden Zipper Won't Scratch The Skin,Pillows Can Easily Roll Up Buckles. The Size That Is Suitable For Carrying Is Easy To Move, And Its Compact Size Makes It Perfectly Stored In Any Private Bag. Soft Travel Neck Pillow Material: 100% Polyester, Super Soft Material, Slow Rebound Material Pillow. Size: 30cm X 30cm (30cm=11.8in). Are You Still Worrying About Giving A Gift To Someone Who Cares? Select The U Shaped Pillow, This Is For Friends And Relatives And Lovers A Very Practical Thoughtful Gift. Ergonomic Design Of The Travel Pillow, U Design Is Suitable For Your Neck. When You Go Camping, Traveling, In The Car, In The Office, Or At Home, It Is Your Best Choice. It Can Give You A Comfortable Sleep, A Good Relaxation, And No Pain In The Neck. If you have any questions about this product by KIENGG, contact us by completing and submitting the form below. If you are looking for a specif part number, please include it with your message.